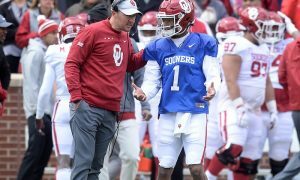 Which Big 12 Coach Would Make the Best NFL Head Coach? 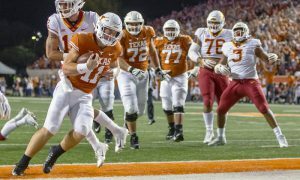 After last week’s story that Oklahoma head coach Lincoln Riley told Adam Schefter’s podcast that he is not interested in the NFL, but “never say never”, it got me thinking, “which Big 12 coach would be the best in the NFL?” So, here are my totally subjective, unscientific rankings for the ten Big 12 coaches. Hell, he already reportedly drew interest this offseason from the Indianapolis Colts. Despite winning just one game with Baylor last season, this tells you how much NFL teams respect him. His pro-style system will help Baylor rebuild its recruiting base (which it already has done), and his background in the NFL, specifically with Tom Coughlin, is as good a pedigree as one could ask for. Rhule grew up in New York City and spent most of his childhood in the Northeast Corridor, so he would not be overwhelmed by the media well and would not be intimidated by the big market. An innovative, whiz-kid offensive mind and mature beyond his years. 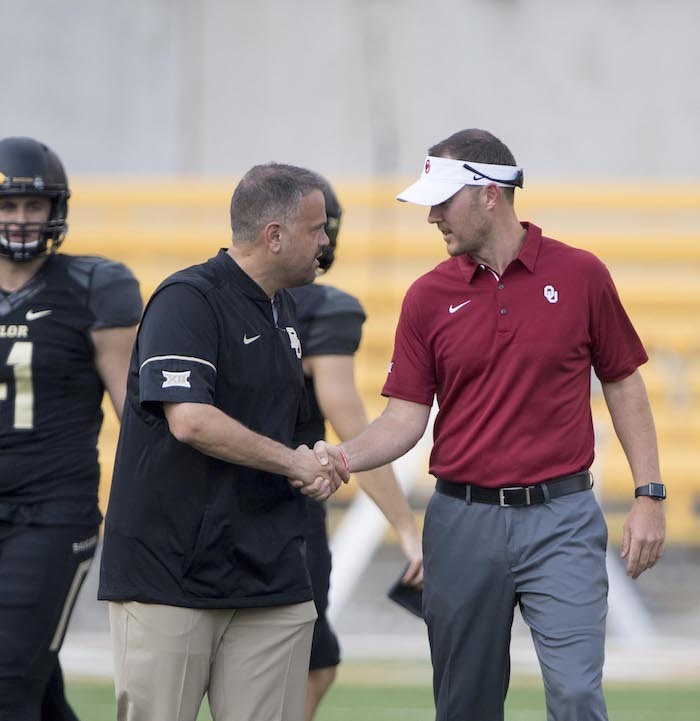 Lincoln Riley could certainly do it at the next level. But does he want to? 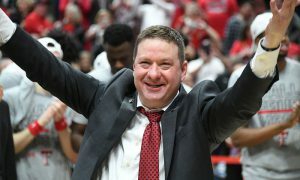 I don’t think it’s of interest to him right now, but if he gets a National Championship or two in his back pocket before the age of 40, then maybe he will end up looking for a new challenge. His temperament is also perfect for the next level, as he would never be in over his head. Patterson is well respected in NFL circles and has taken a dormant football program into a regular Top 25 contender, or maybe more like Top 15/20 contender. He’s open-minded to switching up his style based on how the game is changing. 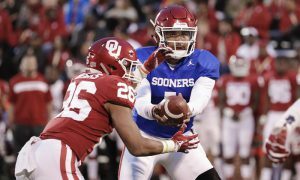 A traditionally pro-style system was turned in a couple of years ago in favor of a more spread-style system that was better suited for the Big 12. I do wonder how he will handle the media, and if he might be too gruff for some NFL players, but overall, I think he could handle it well. Shocker? I get it. He hasn’t exactly lit the world on fire at the college level. But, his offensive style would be unique in the NFL, and despite his reputation as simply being the Ryan Gosling look-a-like character, everyone I’ve ever talked to that plays for him has an enormous amount of respect for him. He’s a tough disciplinarian and would not let NFL players run all over him. Just get him a solid defensive coordinator and I actually believe Kingsbury could do it. Plus, he’s handled lots of tough questioning from the media in recent seasons with impressive poise. He’s tough, a very good X’s and O’s coach, and super smart. I do wonder if he, like Patterson, would be too rigid and maybe too abrasive for some NFL players. Speaking of being too rigid, I also have concerns about Herman and the media. Considering how thin-skinned he is with the same, generally softball media in Austin, imagine him in Philadelphia, New York or Boston? No thanks. He could not handle that. But he could still be successful. I think Campbell at the NFL level would be a fascinating case study. 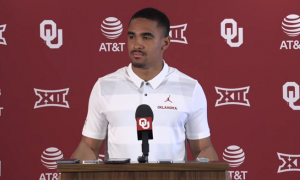 Like Lincoln Riley, he’s young, smart and has a good mix of disciplinarian and teacher. 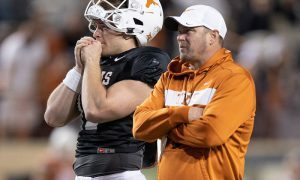 There are already people from his coaching tree, most notably former offensive coordinator Tom Manning, who is now with the Indianapolis Colts. If Campbell continues this upward trajectory, the coaching world will be his oyster, either at the college level or NFL level. Mike Gundy just feels like a guy meant for the college level. That’s not a knock on him, but his quirkiness and general coaching style is much more suited to the college game. Maybe Gundy could tailor his style to the NFL, but why bother when what makes him unique is working excellently in Stillwater. A similar assessment for Holgorsen. 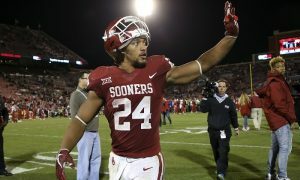 His offensive elements are sporadically being used at the next level, and seeing his offense fully implemented in the NFL would be fascinating. But Dana Holgorsen carries himself perfectly for a college football head coach in Morgantown, WV. Does he have the polished NFL style or presence? Not really. I think he’s great, but when there’s very little about Dana Holgorsen’s persona that screams “NFL head coach”. Ten or Fifteen years ago there’s no doubt Snyder would have been higher on this list. But in his late 70’s, I just can’t justify ranking him any higher. 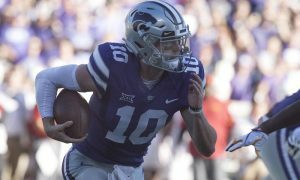 I also believe that his ability to connect with young people, find the diamonds in the rough, and help 18-22 year olds exceed their expectations is so unique to what he built in Manhattan, Kansas, that those skills would not necessarily translate to the NFL. Ummmm…. is there much else to say?